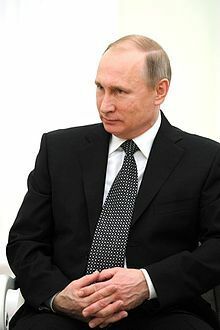 Vladimir Vladimirovich Putin (born 7 October 1952) is a Russian politician who is the current President of the Russian Federation, holding the office since 7 May 2012. He was Prime Minister from 1999 to 2000, President from 2000 to 2008, and again Prime Minister from 2008 to 2012. During his second term as Prime Minister, he was the Chairman of the United Russia Party, the ruling party. From Ask Michael 2016-12-04 Question: Could you please provide the Role/Casting, Soul Age/Level, Cadre/Entity for Vladimir Putin, President of Russia? Are you able to tell if Putin and Donald Trump have any agreements, monads, or past life resonance between them that could potentially influence their interactions with each other and hence affect global events? MEntity: This fragment is the 5th Level Young Warrior-Cast Priest from Cadre 10, Entity 3. The fragments in question share Agreements to "explore and expand personal power," and share positions in a Pentagon Configuration with a Task of "Refining Networks of Power." MEntity: Keep in mind that the paths that Configurations take often begin from "negative" points of exploration and then move from one extreme to another before finding the resolution. MEntity: Their interactions are well into affecting global events. The effects of the combined efforts of the King and the Priest in terms of these more fearful extremes of power are tapping into many who are locked into Chief Features, particularly those of Stubbornness, Self-Destruction, Greed. MEntity: We will be exploring these effects with our students across 2017. 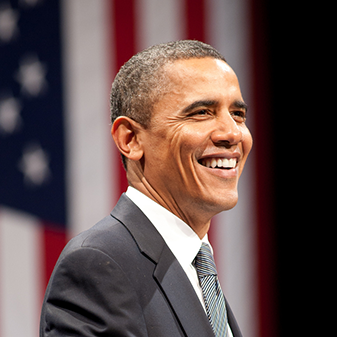 Barack Obama is the first African American and 44th President of the United States from 2008-2016.